One for the connoisseurs of the eclectic with wide palettes. Captain Zorx is a German four piece that play their own genre of Disco Metal From Outer Space. They first arrived in 2000 and rose from the ashes of a previous underground ska band. 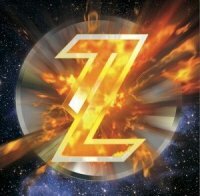 The bands own description states “the genre-mashing Capt Zorx takes styles as diverse as Rock, Metal, Funk, Old School, Bossanova and Disco”. They have released two albums as well as two pulp novels and in 2011 Capt Zorx unveiled their third album called ‘Maps Of The Ancient Sea Kings’. This comprises of eleven tracks at fifty minutes but I’m not really sure where the hell to start. There are so many different things mashed together that it would take pages to properly detail. Hardly any songs stick to a single genre from start to finish and many inter mix singing and spoken verse. ‘Zelda’ starts like a mellow 70s Eagles song that takes a hand brake turn to funky beats with rap like vocals before a disco section. ‘Greg The Robot’ has a ska/country mix that morphs into a spoof of David Bowie’s ‘Space Oddity’ before a heavy metal interlude of guitars and effects filled vocals. I’d describe ‘Maps Of The Ancient Sea Kings’ as being based in 70s progressive rock. Everything builds slowly as the verse rolls along before the main driving riff erupts with a repeating chorus. Whatever words I use to describe this melting pot, it will sound like a mess which would be a little unfair. It’s varied for sure, wildly self indulgent and easy to dismiss, but it deserves more than that simply for its ambition. They say there is little to choose between a genius and a lunatic. The same can be said here; it’s difficult to decide if this is a clever musical experiment or a collection of mad songs by a group that’s nuttier than a squirrel turd. So is it any good? That’s hard to answer; I think that depends on how it is being perceived. If it’s looked at as a normal rock/metal record then the answer is definitely no. It has far too many influences outside of the usual recognised genres with the structure, composition and vocal delivery all very schizophrenic. But when looked at from a different standpoint, say as a soundtrack to a rock opera, it can be viewed more positively. Many of the different characters bring different styles when they appear as happens in a stage show. In terms of a comparison the best I can offer is one of the more maniacal bands like The Offspring/Annihilator doing a Rocky Horror type show about ‘Star Trekkin’. Musically the songs are well played and technically the production is pretty decent. Due to having theatrical experience and a varied taste in music, I can appreciate some of this but I won’t be recommending it to our traditional guitar loving readers. ‘Maps…’ is one for the connoisseurs of the eclectic with wide palettes but mainstream rock and metal lovers should warp speed out of here.